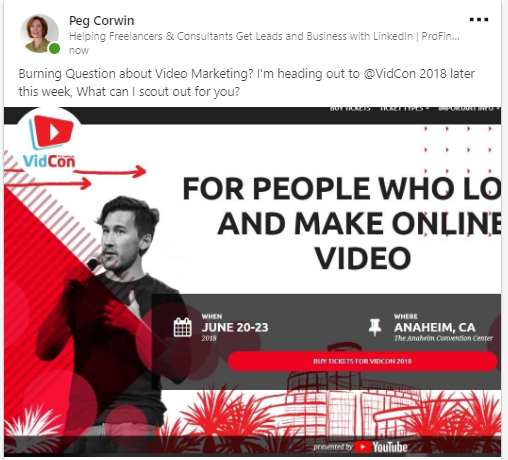 Do you want to ramp up your LinkedIn strategy to get more relevant traffic for your business? Would you like to find promising leads on LinkedIn? 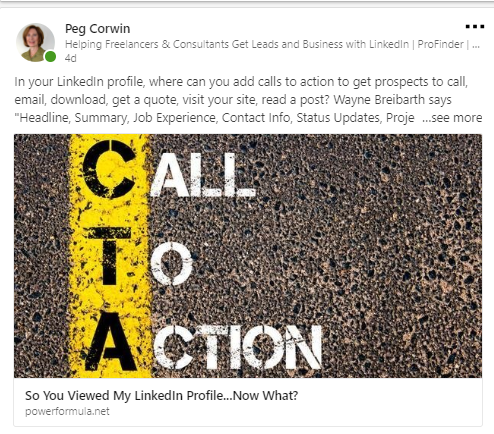 The post that I’m summarizing today is full of LinkedIn lead generation ideas, without advertising. It’s a post from Brandwatch, part of its Complete Guide to Social Media Lead Generation. I’m giving you my fav quote from it and three key points. Now let’s talk about the 3 key tips about LinkedIn from the post. 1. On your company’s LinkedIn page, target updates by job function, industry and geography. You can do this by clicking in the update box (it is hidden if you don’t click there.) Then you will see the Post Settings button, under which you can find Audience Targeting. 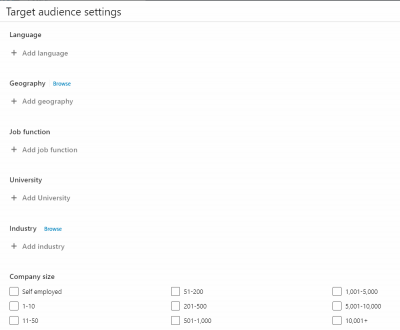 With these settings, you can tailor updates to different audiences! 2. Ask questions. The more conversation, the more LinkedIn will show your post to others. Ask about top tips, something trending. 3. Be useful, offer actionable insights and links to guides. People appreciate this type of content here. I’ll bet you didn’t know about targeting company posts. Create one from your company page, targeted and tailored to your industry. By doing it once, you will remember this option. Thanks to Joshua Boyd of Brandwatch this post, which also has lead gen tips on Facebook, Twitter, Instagram and Reddit.